Lonely Planet Southern Italy is your passport to the most relevant, up-to-date advice on what to see and skip, and what hidden discoveries await you. Go island-hopping across the stunning Aeolian Islands, explore the fabled island of Capri, or wander through ghostly ruins of Pompeii; all with your trusted travel companion. Get to the heart of Southern Italy and begin your journey now! 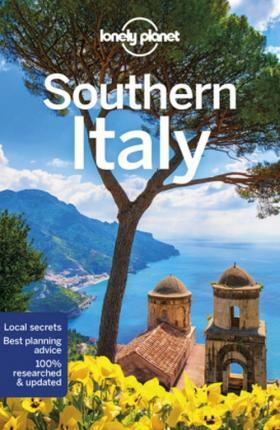 The Perfect Choice: Lonely Planet Southern Italy, our most comprehensive guide to Southern Italy, is perfect for both exploring top sights and taking roads less travelled. Looking for a guide focused on Naples, Pompeii and the Amalfi Coast, or Sicily? Check out Lonely Planet's Naples, Pompeii & the Amalfi Coast guide or Sicily guide for a comprehensive look at all the region has to offer. Looking for more extensive coverage? Check out Lonely Planet's Italy guide for a comprehensive look at all the country has to offer; or Lonely Planet's Best of Italy, a photo-rich guide to the country's most popular attractions. Italy?s north may have the euros, but the south has the soul. Sun-bleached and weathered, this is Italy at its most ancient, complex and contradictory.
? Full-colour maps and images throughout.
? Cultural insights give you a richer, more rewarding travel experience - history, cuisine, art, architecture. Coverage includes: Naples, Pompeii, the Amalfi Coast, Campania, Puglia, Basilicata, Calabria, Sicily, Capri, the Aeolian Islands, the Ionian Coast and more.